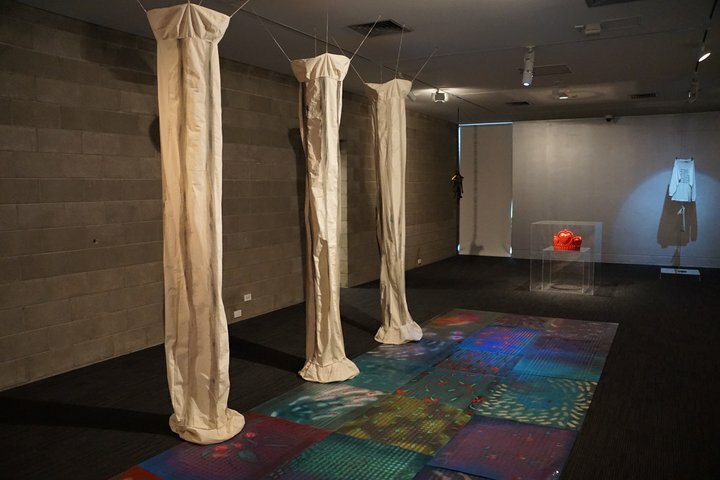 The Dowse Art Museum's 2016 Blumhardt/Creative New Zealand Curatorial Intern, Faith Wilson, talks us through a trio of works that feature in the group exhibition she has created. Dark Objects, until Sunday 23 July, The Dowse Art Museum, Lower Hutt. The Weight of the World is a gallery intervention, a textile piece that physically and conceptually challenges the space of the exhibition. The work, three calico Roman columns, is a reference to classicism and the Western canon. The softness of the columns suggests they aren’t strong enough to hold up the institution anymore, implying it must make way for new ways of thinking and visibility, especially for women of colour artists like Natasha Matila-Smith, or must crumble altogether. Yass Boo Slay explores Jade Townsend's fascination with objects that oscillate between symbolism and physical matter. She interrogates the shiny surface of desirable objects, exploring the dualistic nature of shininess as something that is dazzling and attractive yet physically deflects light. 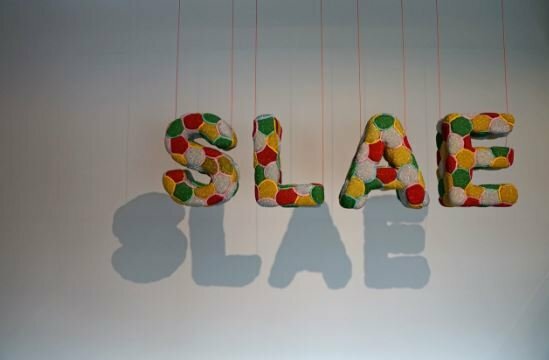 The rearrangment of the word SALE to SLAE, to me, explores the relationship between consumerism and online culture, the acceleration of pop culture (‘yass boo slay’ being a phrase adopted into contemporary pop culture from 1980s American vogue culture) and its absorption into commercialism. 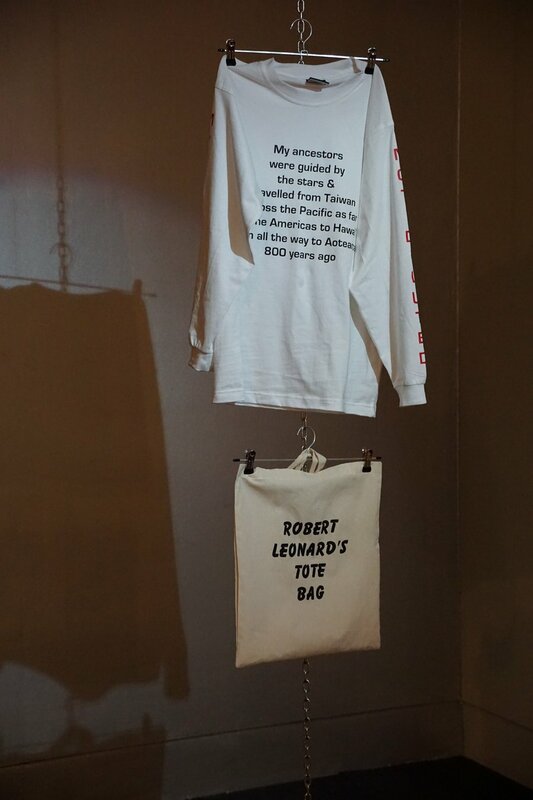 The Impostor Syndrome consists of a book written by Hana Pera Aoake along with a t-shirt printed with excerpts from the book and a tote bag that says “Robert Leonard’s Tote Bag” (Leonard being Chief Curator at City Gallery Wellington). The book centres on the experience of the artist’s body, and their experiences of marginalisation, racism and sexism as an indigenous Māori body in the Aotearoa arts scene. Because the body is pivotal to Aoake’s work, they wore the t-shirt and bag on the evening of the opening and handed out copies of the book to selected members of the crowd, then removed the clothing, placing it in the exhibition among the artworks as a performance. Like Natasha Matila-Smith’s work, The Impostor Syndrome questions those in positions of power and the lack of visibility of indigenous bodies in those same positions. Want the full ARTicle in your inbox each week? 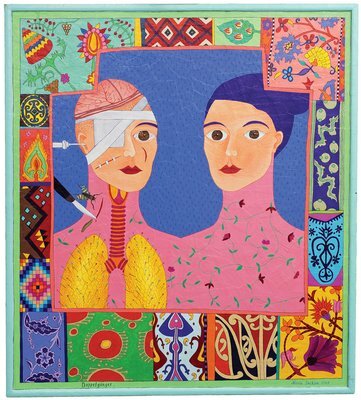 Artist Nicola Jackson talks us through three of the works in her new exhibition. 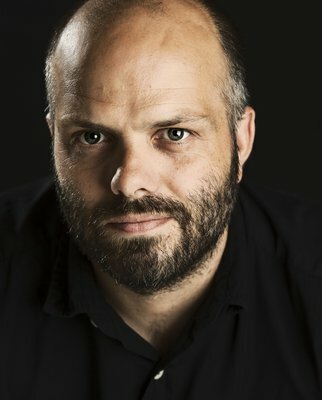 The art writer and now author on discovering artists as human beings and the many things Auckland can learn from failed city Detroit – and not just in terms of art.